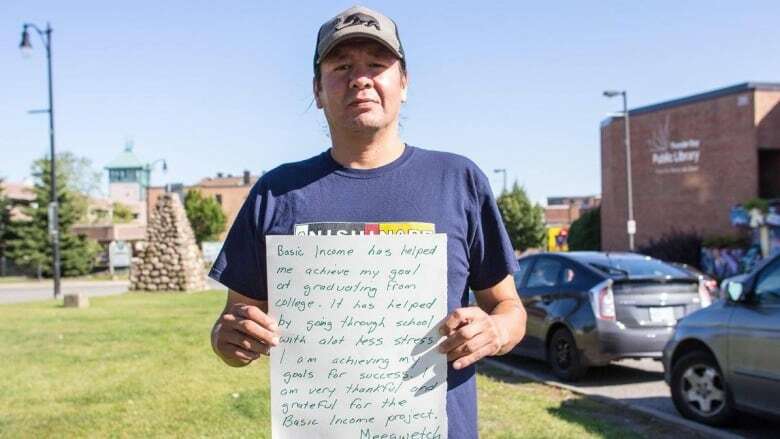 A photography project intent on showing the human side of the cancellation of the basic income pilot project has added some Thunder Bay faces. Jessie Golem, whose photo project The Humans of Basic Income captures portraits and stories of the people affected by the pilot's cancellation, was in Thunder Bay from Sept. 6-8. "I managed to take about 20 portraits, which, in my mind, I consider to be a success," said Golem, who's based in Hamilton and is a basic income recipient herself. "The stories are incredibly heartbreaking," she said. "I found when I got home and I was editing the photos, I had a few moments of just feeling very overwhelmed." Among the stories she heard were those of people who'd used their basic income payments to find better housing, or return to school. "Another individual I met, he was struggling with homelessness and addictions for years," she said. 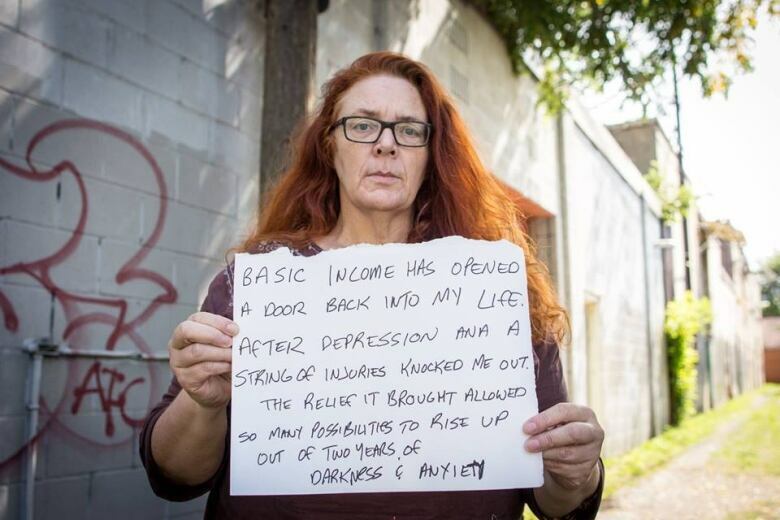 "Basic income helped to get him off of the street." The basic income pilot project was set to run for three years, and provide payments to 4,000 low-income people in communities including Hamilton, Brantford, Thunder Bay and Lindsay. It was announced in April 2017 by then-Premier Kathleen Wynne. However, earlier this summer, the Ontario conservative government announced it would cancel the program early, despite critics of the decision saying there isn't enough hard data available yet to prove whether or not the pilot was effective. The province has since announced it would end the program in March 2019, less than two years since it began. Golem has also photographed people in other Ontario cities participating in the basic income pilot project, and the photos will be shown this week at Hamilton's Supercrawl festival. "We're expecting over 100,000 people will be in attendance over the course of the weekend," Golem said. "I have an outdoor public exhibit right in the middle of all of this."